New York, NY, January 8, 2010 - The New York Institute of Photography (www.nyi100years.com), America’s oldest and largest photography school, was founded in 1910 and celebrates 100 years of leadership in photography education this year. In 1910 the Industrial Revolution was in full swing. The world looked to science and technology to make life better and American businesses led the way to that better life with new products, new inventions, and opportunities for people seeking to learn new skills. It was a natural time to start a school to teach the art and science of photography. In 1910, America’s population was just over 90 million, less than one-third as many people as today. Transportation was bringing people closer and making the world smaller. Henry Ford sold 10,000 cars that year. In New York City, Penn Station, then the world's largest train hub, opened. The Wright Brothers conducted the first commercial cargo flight and Thomas Edison demonstrated the first talking motion picture. In photography, the first infrared photographs were published in 1910 and the world’s first practical color photography process, the Autochrome, had appeared just three years earlier. In the burgeoning neighborhood around Penn Station - still the location of many vocational schools - German immigrant Emile Brunel opened the New York Institute of Photography (NYIP), starting as a retail operation that taught its customers how to use the photography equipment they bought. The school quickly expanded into teaching photo engraving, retouching, and cinematography, and began to publish its lessons in book form. As it has evolved over 100 years to meet the demand for practical instruction, NYIP has grown into a renowned institute featuring multi-media distance education courses in all things photography to aspiring professionals and passionate amateurs throughout the world. Today, no other photography school offers instructional materials of the scope and quality of NYIP, and no other distance education program offers the personal attention that is the hallmark of NYIP’s program. The New York Institute of Photography began in the early 1900’s as a residential school in Manhattan teaching both photography and motion picture courses, and soon opened branch offices in Brooklyn, NY and Chicago, IL. From the start (and continuing to this day) the instructors were all professional photographers of high caliber. In the 1930’s the school began teaching via distance education. NYIP was first accredited officially for distance education when the National Home Study Council launched its accreditation program in 1956. Some years ago, in keeping with the time, the National Home Study Council changed its name to the Distance Training and Education Council (DETC). NYIP maintains its accreditation with DETC and is also licensed by the New York State Education Department. In 1975, NYIP closed its residential school to focus on distance education. By 1980 the school offered a multi-media home study photography course that included audio taped evaluations for every student from their individual instructors, and telephone contact with the staff professionals. In addition to beautiful color texts, instruction was provided via pre-recorded audio and video programs. In 2010, the evaluations are digital and sent to the students as downloads. Today, every NYIP student is still fortunate to have a single, highly-skilled and dedicated instructor to work with throughout the distance education course. Each NYIP instructor inspires his or her students and challenges them to build on what they know so they can constantly improve and reach their goals in photography. In addition to an assigned instructor, every NYIP student also has access to a professional student advisor who helps explain to students the materials in their lessons, provides advice about finding and working with clients, and provides an expert opinion on the newest photographic equipment and technologies. From the beginning of each student’s course to the last lesson, instructors (via individual digital recordings) act as a student’s guide and mentor to help every student learn all the “tricks”, “tips” and “secrets” of the professionals. 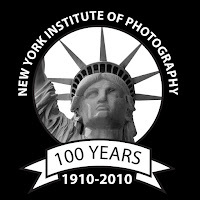 The New York Institute of Photography, (www.nyi100years.com), is the world's oldest and largest photography school. Established in 1910, NYIP has grown to become the premier provider of distance photography training, educating more than 20,000 students in the U.S. and more than 50 countries abroad at any given time. NYIP also publishes a regular newsletter for 100,000 subscribers. NYIP offers three multi-media home study courses in Professional Photography, Digital Photography: Photoshop® for Photographers and the NYI Short Course: Fundamentals of Digital Photography. These courses combine the convenience of at-home study with state-of-the-art photography training for everyone from new photo enthusiasts to emerging professional photographers. Every course includes printed lessons, supplemented with audio commentary and video demonstrations. All NYIP students get a personal advisor and custom audio evaluations of their photographs. Thank you for your nice article on photography news. I like for your good writing.